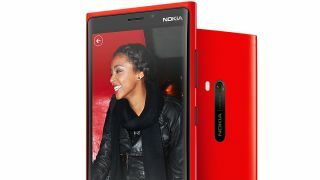 Nokia and Windows Phone: Game over or game on? It's been a year today that the first Windows Phone bearing the Nokia name landed in the UK – so are there any signs that Nokia's made the right move? In that time Nokia has created the Lumia brand, re-thought its design strategy and, apparently, had a big influence on the direction Windows Phone is taking – a big move away from the firm than spammed high street phone retailers with every style of handsets imaginable. There's no doubt that Nokia led the charge in the Windows Phone space over the last 12 months. In the relatively short amount of time since the likes of Stephen Fry took to the stage to proclaim Microsoft's rebooted phone platform was a worthy contender to the likes of Android or iOS, the sales of HTC, Samsung and others' Windows Phone handsets were mediocre to say the least, with around 8 million handsets sold worldwide before Nokia jumped in. It was also good to hear Pierce talking about Nokia 'thinking differently'. From an industry point of view, one of the biggest problems the Finnish firm had pre-Windows Phone was promising amazing handsets that didn't deliver, complete with over the top events and advertising forcing the message down the throats of consumers. Memories of sitting through a 30 minute 'lecture' in 2010 by Nokia executives on how important it was for consumers to be able to hook your N8 up to a big screen TV and play 5.1 surround sound still rankle – cries from those assembled that this was pointless without content (as well as not addressing the fact the UI was so poor) fell on deaf ears. It was this thinking, this stubborn refusal to notice that handsets running Symbian paled in comparison to the likes of the technically-inferior iPhone 3GS in the eyes of consumers that caused CEO Stephen Elop to send that memo, talking of Nokia's 'burning platform'. While Nokia's stance may not have changed completely in Elop's reign (Nokia World 2012 was far too heavily skewed towards extolling the unlimited virtues of the Lumia 920 without revealing the key details on price and release date) the last year has clearly been a worthwhile learning experience for the brand. "We have to think differently"
"The likes of the Lumia 800, 610 and 900 have been great starts and given us good momentum in the UK,' said Pierce. "We're proud of what we've achieved. Would we like to be somewhere else in terms of growth? Of course we would. Have we learnt a lot? Yes we have. Are we a different company? We now have this start-up mentality whereby where we are hungry to add value, to listen to people and become a leaner organisation that makes sure the feedback lands in the right place." But let's not forget the task Nokia was faced with this time last year: essentially giving up on its mature-yet-flawed Symbian OS and starting from scratch with the Windows Phone brand, with only its strong retail channels and brand awareness for company. And while Nokia was responsible for increasing the share of Windows Phone worldwide, around 10 million Lumia handsets sold in those 12 months isn't a strong number at all, considering Apple sold over double that amount of iPhones in the last quarter alone. While you can't expect a company even of Nokia's magnitude to come in and start selling phones at a frantic enough pace to start troubling the big players, it still showed the scale of the journey ahead.